Congratulations to this month's winners! They each won a $5 TPT gift card to use for their classroom. Did you know I give away math freebies every month? 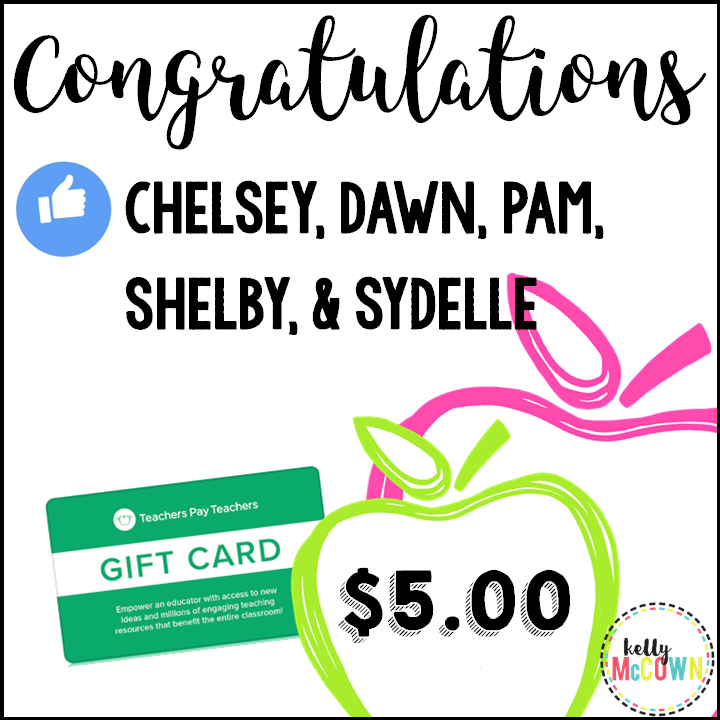 Did you know I give away TPT gift cards too?